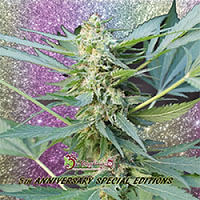 CBD Apocalypse Feminized Cannabis Seeds by Sensible Seeds Premium Selection: It takes four angels to oversee an apocalypse: a recorder to make the book that would be scripture in the new world; a preserver to comfort and save those selected to be the first generation; an accuser to remind them why they suffer; and a destroyer to revoke the promise of survival and redemption and to teach them the awful truth about furious sheltering grace. (Chris Adrian). 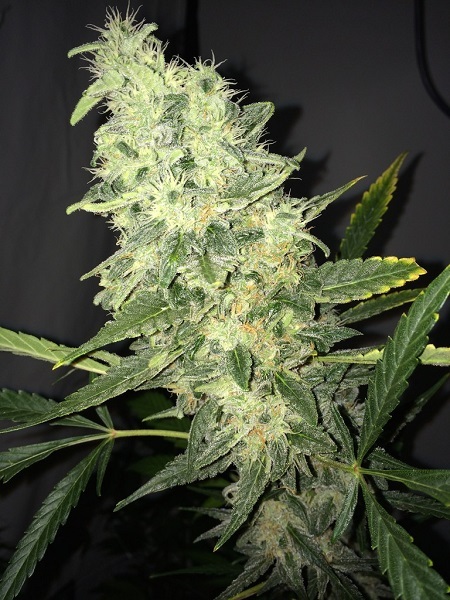 CBD Apocalypse took many years of experimentation with multiple generations by the best breeders out there to produce one of the ultimate medical strains on the market today, an exotic blend of G13 Haze x OG Kush x MK Ultra. CBD Apocalypse can be grown in most environments (including Northern Hemisphere) quickly and easily and gets extra benefits when grown in a SCROG setup. The stems do tend to stretch though so best not to let it vegetate too long before flowering. In 10 to 11 weeks expect Huge Explosive Yields! The Medical benefits of this strain are outstanding for those with physical ailments; the 1 to 1 THC/CBD ration gives a pleasant state of relaxation without too much head fuzziness... just the perfect body stone. The flavour is fruity and it is a great strain to put into edibles or oils. 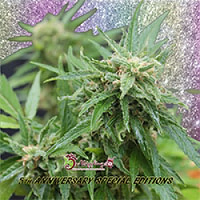 CBD Apocalypse from Sensible Seeds is the ideal medical marijuana strain, prepare to be blown away! Medicinal Properties: Yes Yes Yes! Medical Conditions: Optimal pain management, muscle spasms, cramps, PMS, Parkinson’s, MS. Inflammation, headaches, plus many more! !